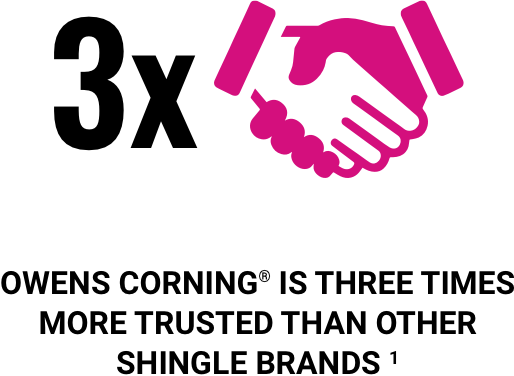 Membership in the Owens Corning Roofing Contractor Network provides you with the tools you need to win in your market. As a member, you can tap into the marketing expertise of a FORTUNE 500® company and leverage the power of the Owens Corning brand to help grow your business. And of course, with the strength and recognition of America’s most trusted and recognized brand† you can expect an easy sell across our extensive product portfolio. * The Value of the Platinum Preferred Program, online survey, 2018, claim by Owens Corning Roofing Platinum Preferred Contractors. 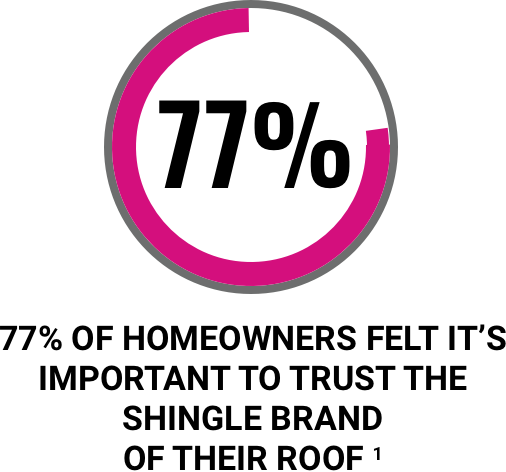 † 2018 Roofing Homeowner Brand Awareness Survey by Owens Corning and Asphalt, LLC. A brand is more than just a name on a package. It’s a story, and it’s a promise. Our heritage dates back more than 75 years as a recognized leader in the building industry. 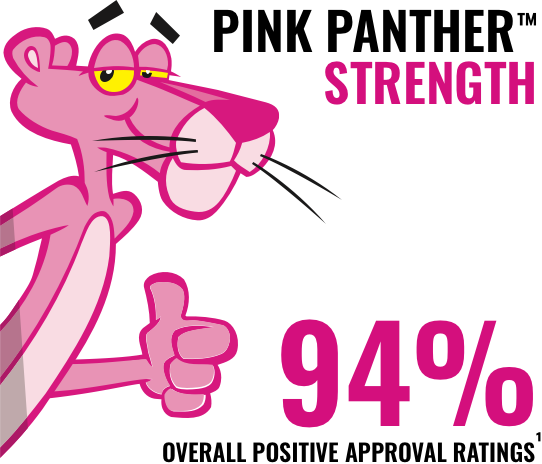 Together with the Pink Panther™, our brand enjoys strong recognition among homeowners. While awareness is great, at the end of the day we know it always comes down to trust. A recent Roofing Brand Awareness study surveying homeowners in the market for a new roof found that Owens Corning is the most recognized and trusted brand in the industry. So, out of the gate you have a real selling advantage that will help reinforce why you are the right choice. 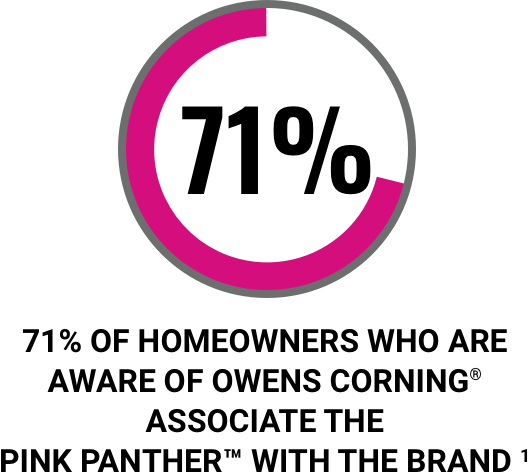 † 2018 Homeowner Roofing Brand Awareness Study by Owens Corning Roofing. Earn cash back on qualifying product purchases and apply where and when you want it. 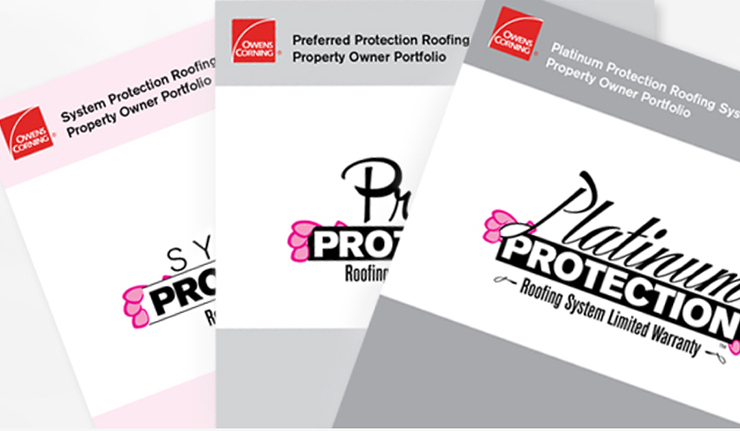 Members can earn promo funds on qualifying Owens Corning Roofing purchases that can be easily applied to purchasing valuable marketing materials, branded merchandise and lead-generation tools. For additional convenience and immediate access, funding can also be placed onto a reloadable or pre-denominated Mastercard® **. ** This card is issued by Sunrise Banks N.A., pursuant to license by Mastercard International. This card is administered by Wirecard North America, Inc.
You have spent a lot of time building your business. So let us help make the story come to life. 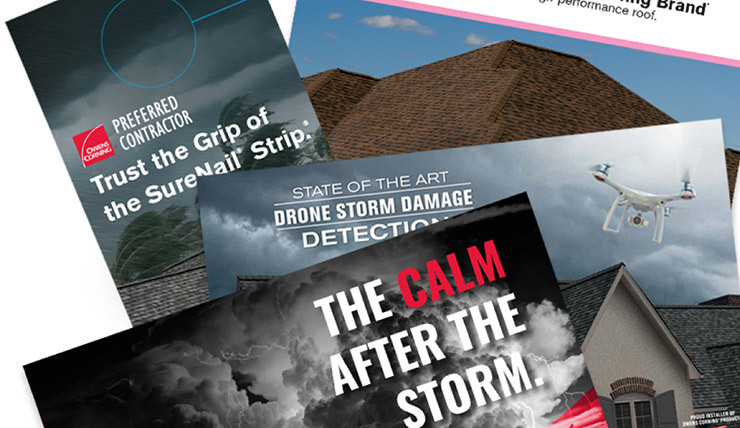 Owens Corning Roofing Platinum and Preferred Contractors can also tap into our dedicated custom graphic design resource, Local Marketing Advantage (LMA), by taking their co-branded concepts to the next level! Broaden your skills 5, 10 or 15 minutes at a time. 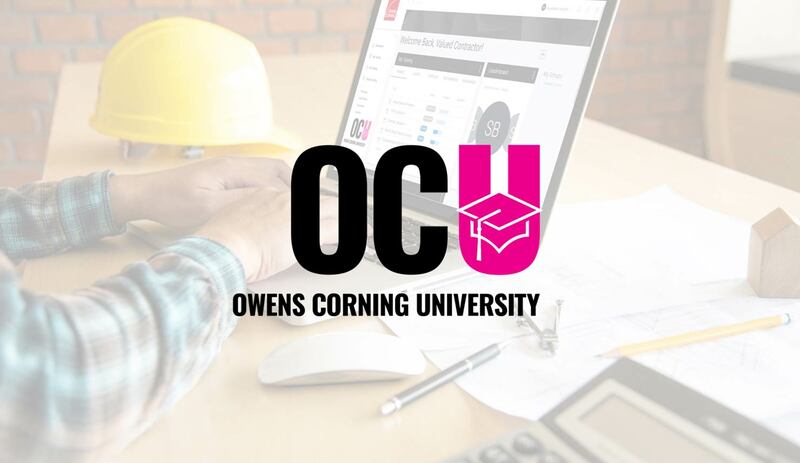 Owens Corning University, or OCU, is the platform from which all live and online educational opportunities will be offered exclusively to Owens Corning Roofing Contractor Network members on the OCConnect™ Resource Center. No hassles, no limitations and no costs. Just convenient, easy, fast opportunities providing you leading edge, 24/7 “on demand” education and resources designed to help grow your business. Since time is money, the ProSell™ app helps you win in your market by converting leads and assisting with closing more jobs – quickly and digitally. With the ProSell app, you can close the in-home sale without ever leaving the kitchen table. Literally. This integrated digital tool makes the entire sales process more professional, convenient and time-efficient. From the pitch book and product data, to efficient and accurate estimating, through contracting, financing, and down payment, the ProSell app will help you seamlessly and efficiently move homeowners through purchase decisions to close the sale without interruptions or delays. Sign up today for an exclusive Owens Corning Roofing Contractor Network member special offer to start transforming your sales results and say goodbye to manual calculations and paperwork. Three extended warranty options to wow your customers. We know homeowners want the best roof, installed by the best contractor and protected by the best warranty. That’s why our Owens Corning Roofing Platinum and Preferred Contractors are exclusively authorized to provide extended warranty options that are recognized as the best in the industry. With the Platinum Protection Roofing System Limited Warranty, Preferred Protection Roofing System Limited Warranty and System Protection Roofing Limited Warranty offerings, you can deliver the warranty that meets your customer needs every time. †† See actual warranty for complete details, limitations and requirements. Owens Corning® Roofing Platinum and Preferred Contractors are the only roofing professionals authorized to provide an extended warranty. Get more work, close more sales, build your brand. Earn exclusive discounts on more than 50 industry-leading products and services just by being a member! Maintain your competitive edge by taking advantage of special access to the most competitive pricing and deals across a wide range of strategic partnerships. We handle the negotiations, so you gain exposure and hassle-free access to deals on the latest and greatest industry tools available. Your one-stop resource to grow your business. With the OCConnect™ Resource Center, you can manage your business anytime, anywhere. The intuitive and user-friendly portal dashboards are accessible via computer or mobile phone making it convenient to submit invoices, view your available promo balance and access marketing materials, business building resources and online education modules from the office, your truck or a jobsite.